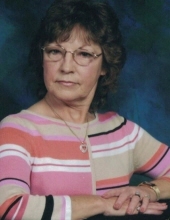 Ruth Davis of Cape Coral, FL, formerly of Rogersville passed away Sunday, March 17th, 2019 at Cape Coral Hospital. She was a loving wife, mother, grandmother and mammie. Visitation will be Friday, March 22nd from 11 – 12 at Rogersville Funeral Home. Funeral service will follow in the chapel with Jimmy Cox and Kenny Morgan officiating. Burial will be in Mitchell Cemetery. Ruth was preceded in death by her parents, Ernest & Myrtle Roberts; husband, Billy Ray Davis; granddaughter, Ashlie Johnston and seven siblings. She is survived by her daughters, Wanda Ray (Sylvester) and Loi Grimes (Mark Zeitler); grandchildren, Ryan Johnston (Danielle Miller), Samantha Ray (James), Alex Ray and Lexi Zeitler; great-grandchildren, Kaden, Max, Kace and Saylor; brother, Delmos Roberts. Ruth will be greatly missed by all who knew her. Visit rogersvillefh.com to share memories to the Davis family. To plant a tree in memory of Ruth Davis, please visit our Tribute Store. "Email Address" would like to share the life celebration of Ruth Davis. Click on the "link" to go to share a favorite memory or leave a condolence message for the family.